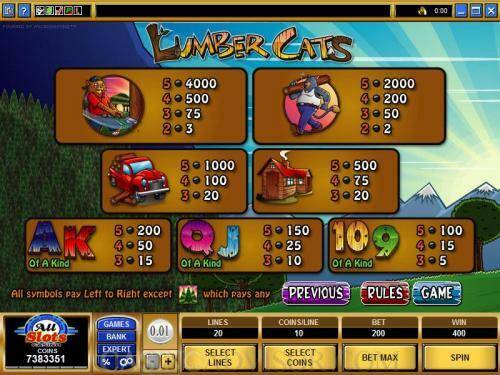 The following are the payouts in coins for each of the other symbols for getting five in an active payline. Symbols have to appear in enabled paylines. 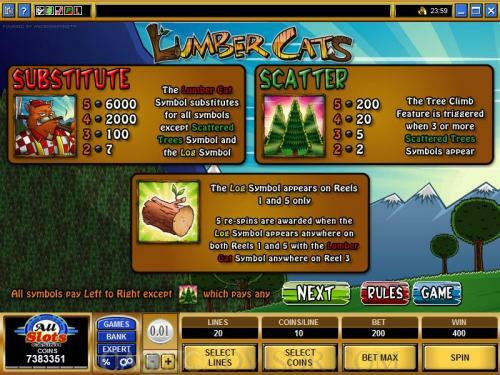 The scatter payouts are multiplied by total bet to convert to credits. 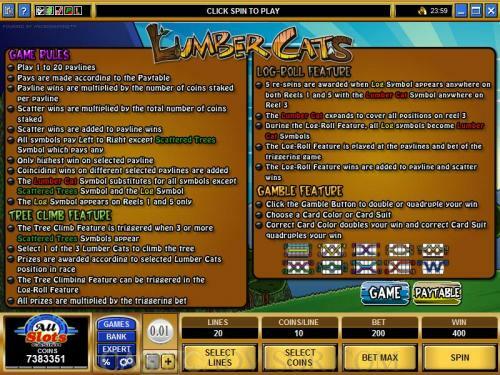 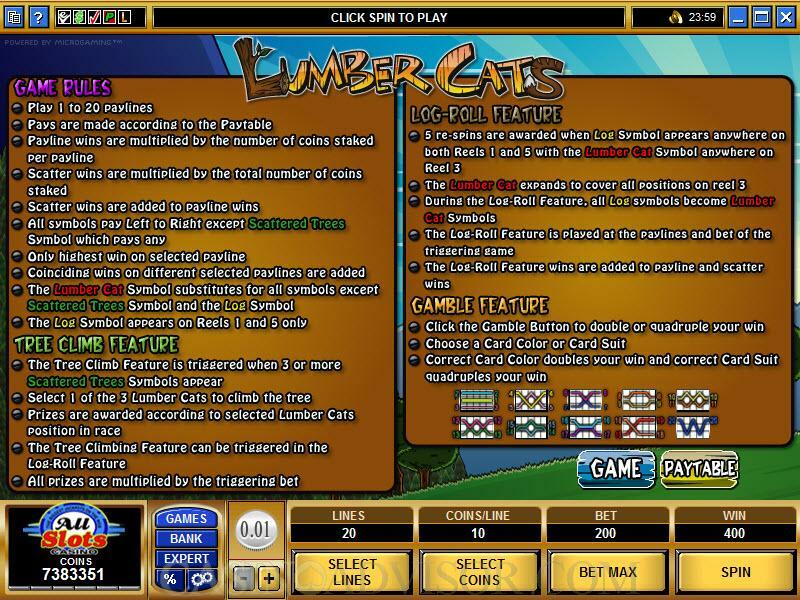 The scatter payout for 5 Trees symbols is 200 times the total bet.